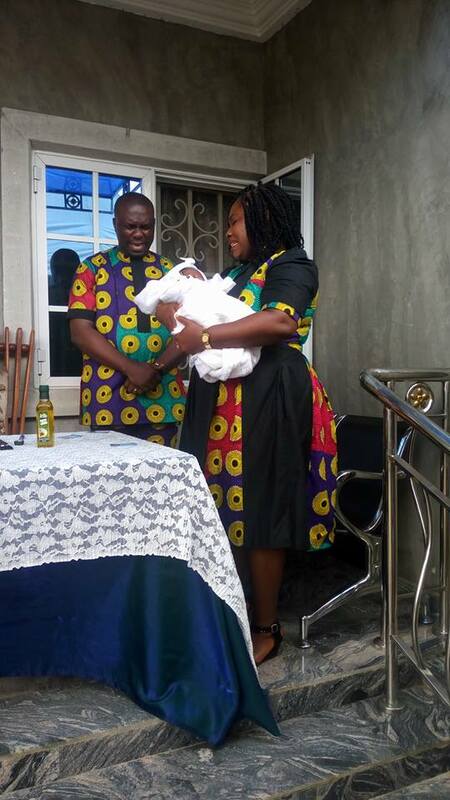 A Facebook user, Pearl Clement has shared a remarkable testimony about a woman who lost her womb in a surgery, but recently gave birth to a bouncing baby boy. According to Pearl, the woman, a member of Winners Chapel in Uyo, had a fibroid surgery but developed complications which led to the removal of her womb. After the surgery, the husband of the lady was handed his wife's womb in a salad cream bottle but that didn't deter him. He prayed for his wife but didn't tel her about her condition. Shortly after, the woman took in and has been delivered of a bouncing baby boy. This is some beautiful testimony, here's how she narrated it. With Pastor Dennis Ekere whose testimony was shared in 4 services in Winners Chapel Ikot Ebido Oku today. 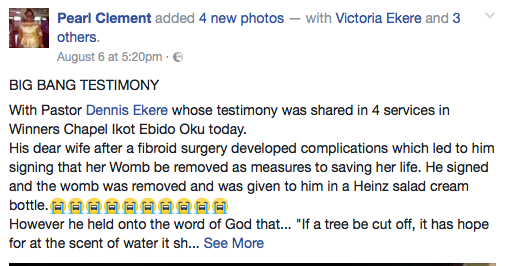 However he held onto the word of God that... "If a tree be cut off, it has hope for at the scent of water it shall grow again" also he declared that the God that did it for Pastor Bamgboye whose wife's 2 ovaries had been removed but still gave birth to 2 children would give him his baby. Few months later a very confused doctor told him that at scanning his wife that they saw A WOMB THAT HAD GROWN IN THE FORMER SITE. However the size of the womb was very small. Men and Brethren, few months later, his dear wife took in, ie got pregnant and delivered a bouncing baby boy weighing 3.7kg last week Saturday. 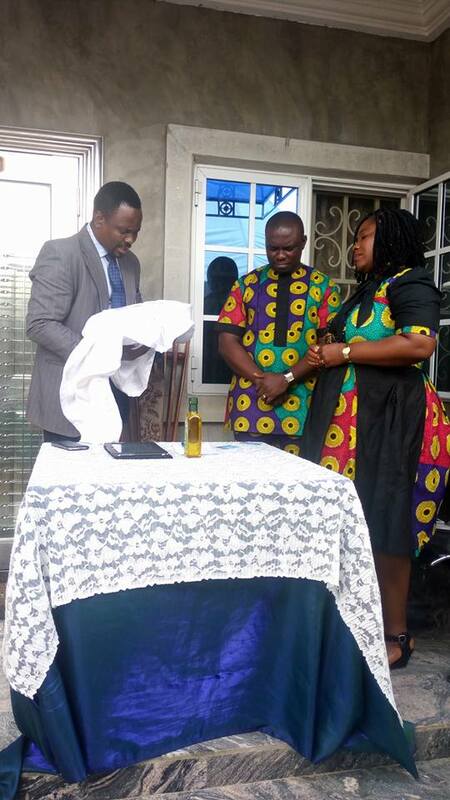 Yesterday was the naming ceremony and may I add here that his dear wife only knew that yesterday that her womb had been cut off all this while. Asking why he refused to disclose to her or anyone, he said he didn't want her FAITH TO SHAKE. What can God not do? What is too hard for God?